When it comes to gaming mice, making the right decision can be difficult for gamers. Whatever games you play, whether they are first-person shooters (FPS), real-time-strategy (RTS) games, massively multiplayer online (MMO) games or any other, the mouse plays an important role. For playing these games, special mice are designed to match the individual needs. Today, I have been looking to find the best gaming mouse for League of Legends and DOTA 2. League of Legends and DOTA 2 are two of the biggest MMO games and both put a lot of strain on the mouse (particularly on right click) and normal mice are not designed specifically for these games. It is best to invest in a good gaming mouse as they will return the investment because they last much longer for gamers. 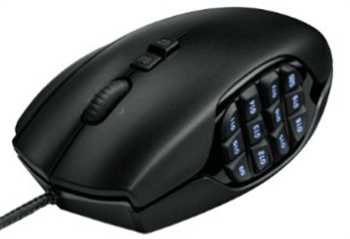 Below is the list of 6 best mice for LOL and DOTA2 that give major advantages. Below we have made a list that will help you to find best gaming mouse for League of Legends and DOTA 2 which gives a drastic improvement to your gameplay. 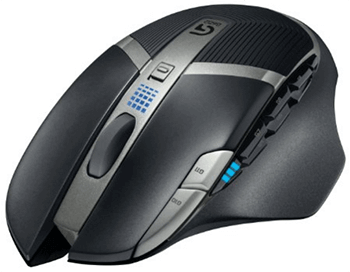 The Logitech G600 is a massively multiplayer online gaming mouse. 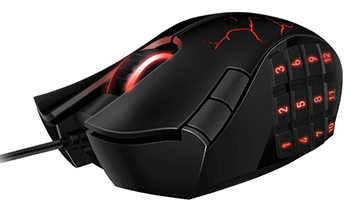 This mouse is specially designed for games like World of Warcraft and League of Legends. Logitech collaborated with pro MMO gamers to build this amazing mouse. It has 20 buttons for faster game play. 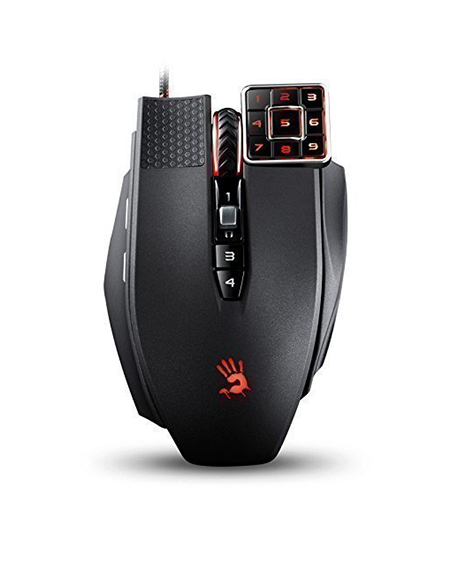 It comes with three primary buttons and a specifically designed 12G key thumb panel, which gives immediate access to all actions within MMO games. The 12G panel is arranged in two sets of 6, and the 3 primary buttons are rated at a 20million-click lifespan. This is a high end, feature rich gaming mouse for DOTA 2 with an affordable price. The look of this mouse is futuristic with powerful hardware and infrared scroll wheel. It comes up with 17 macro buttons. The key response is less than 0.2 microseconds, which is a faster tactical response. 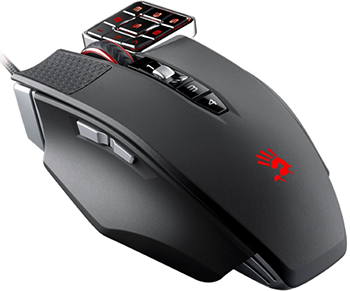 The most powerful feature of this dynamic mouse is based on its 8200 DPI Avago 9800 laser engine. A numeric pad is located in the center. There are two programmable buttons under the mouse below a rocker button. The Logitech G502 FPS gaming mouse is unique and comfortable gaming mouse for LoL. It has a moderate size with enough room for the gamers who want a mouse with a good palm grip and claw grip. This mouse can be tailored to your preferences. There are 16.8 million colors for RGB lighting. The Logitech gaming software also lets you synchronize lighting patterns and effects with other Logitech devices so your devices can display the same lighting. It comes with 11 programmable buttons. You can program commands and macros to each button. The buttons are customizable with the use of Logitech gaming software. You have a dual mode gaming grade and a scroll wheel and with Proteus spectrum, you can decide the mode. The corsair is one of the oldest names in the world of computer and gaming. They are known for producing some of the best gaming mice that gained great recognition and popularity the gaming world. Corsair has set the standard in the world of gaming. 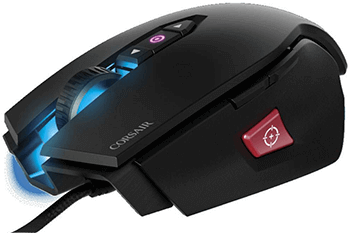 This mouse Vengeance M65 by corsair is designed for First Person Shooter (FPS) games. These are the fastest types of games and one has to be fast in both mentally and in terms of hardware while playing FPS games. Corsair Vengeance M65 is the best option for improving your aiming and movements in an FPS game. The mouse has two main buttons which are easy to press. I have been using this mouse for DOTA 2 and LoL the last week, and I’m surprised how good it is. The sides are specially textured to provide some extra comfort for long playing hours. The scroll wheel has a rigged rubber finish which ensures proper fast scrolling in the game. It offers an 8200 DPI sensor for superior tracking, a dedicated sniper button that lets you switch resolution for extremely accurate shots, and an adjustable weight system for a custom fit to the way you play. This is, in my opinion, one of the best wireless gaming mice launched by Logitech. 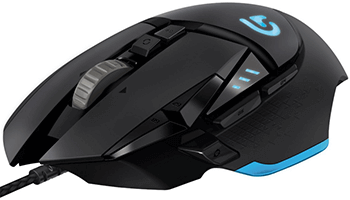 The Logitech G602 is a wireless gaming mouse with battery power for up to 250 hours. The battery is eight times that of an ordinary gaming mouse, and, impressively, is powered by two standard AA batteries which can be reduced to one for adjusting the weight and balance. It delivers a 2.4 GHz wireless connection with a 2 microsecond report rate. It comes with 11 programmable buttons. You can reassign any game command or multi command macro to one of these 11 buttons. It features the exclusive Delta Zero sensor for high accuracy cursor control plus extending battery life. The 2500 DPI sensor responds precisely accordingly to your hand movements. The blackish dark design made up of a slip-safe side grip wrapped on the outside of the gaming mouse with a delicate elastic palm resting on top with edges and a dull dark metallic looking trim is very visually pleasing. The left and right click buttons are long and augmented outwards. The switches have a life span of 20 million clicks.